Joe has been an active member of the Los Angeles and Portland design community for nearly 20 years, including 5 years at AGPS Architecture in Los Angeles where he played a prominent role in the design of multiple award-winning projects and international competitions such as the Portland Aerial Tram. For over 11 years at Opsis, Joe has been a Project Architect and Lead Designer on several award-winning, sustainable higher education and community-based projects throughout the Pacific Northwest and Arizona. With a passion for land art and a deep appreciation for the vibrant landscape of the Pacific Northwest and meditative minimalism of the desert Southwest, Joe is interested in the dynamic interplay between landscape, site specificity, social environment, sustainability and built form. Joe recently completed the award-winning Coyote Center at Chandler-Gilbert Community College in Arizona, a unique blend of enrollment services / academics and athletics within a singular structure that is lauded for its thoughtful integration of architecture and place making within a desert environment. Currently, Joe is the Project Architect and Lead Designer for the Beaverton Center for the Arts, a multi-purpose performing arts theater and arts education center located along the banks of Beaverton Creek adjacent to the Beaverton Round. Joe is the leader of Opsis’ Design Culture Committee, charged with enhancing the vision and creative experience of the entire firm. He organizes and oversees multiple design reviews for each project, moderating and promoting design discourse while ensuring design excellence during all phases of the design process. Joe has been active in the academic community in Los Angeles and Portland, where he has co-led or assisted several design studios. He is currently teaching Campus of Hope: Addressing Portland’s Homelessness Crisis, a graduate design studio at the University of Oregon, Department of Architecture and Allied Arts in Portland. He was lead designer for the award-winning project titled UNCLOUDED Vision, a transitional housing, shelter and rehabilitation center for Portland’s homeless population that won 1st Place honors for the 2015 AIA STITCH II Ideas Competition. Joe earned his Master of Architecture from the University of California-Los Angeles, and a Bachelor of Architecture from the University of Southern California. 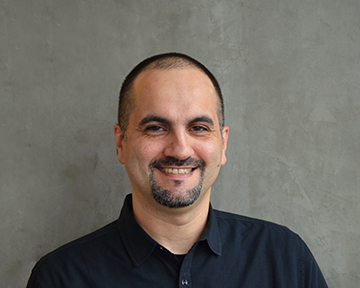 He is a registered architect in the state of Oregon and a LEED Accredited Professional and currently sits on the Advisory Council for Design Museum Portland.